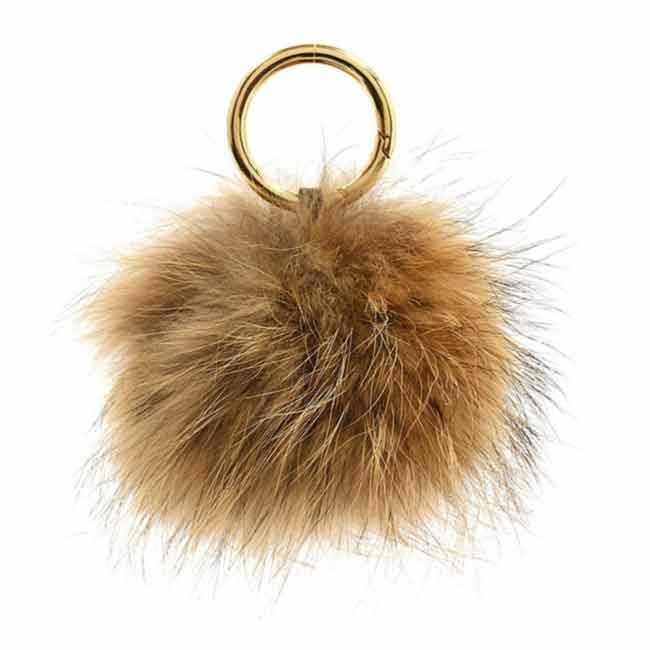 Le Mimi fox fur pompon with gold tone ring. 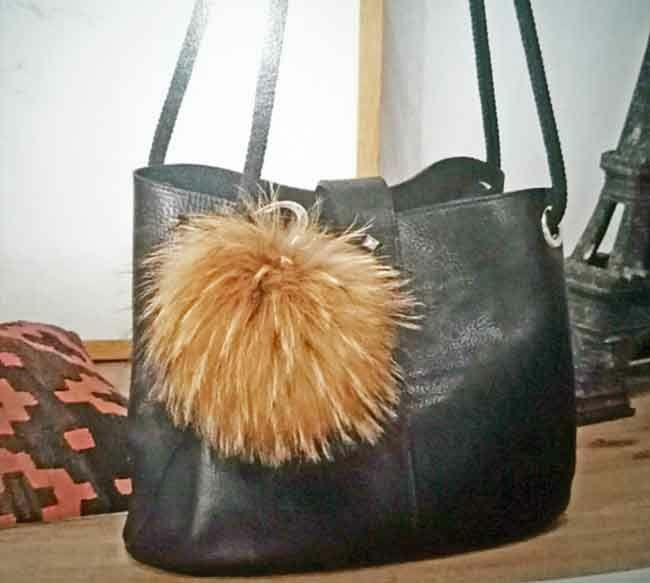 This can be used either as a bag accessory or key ring. Length 6.2". Made in France.